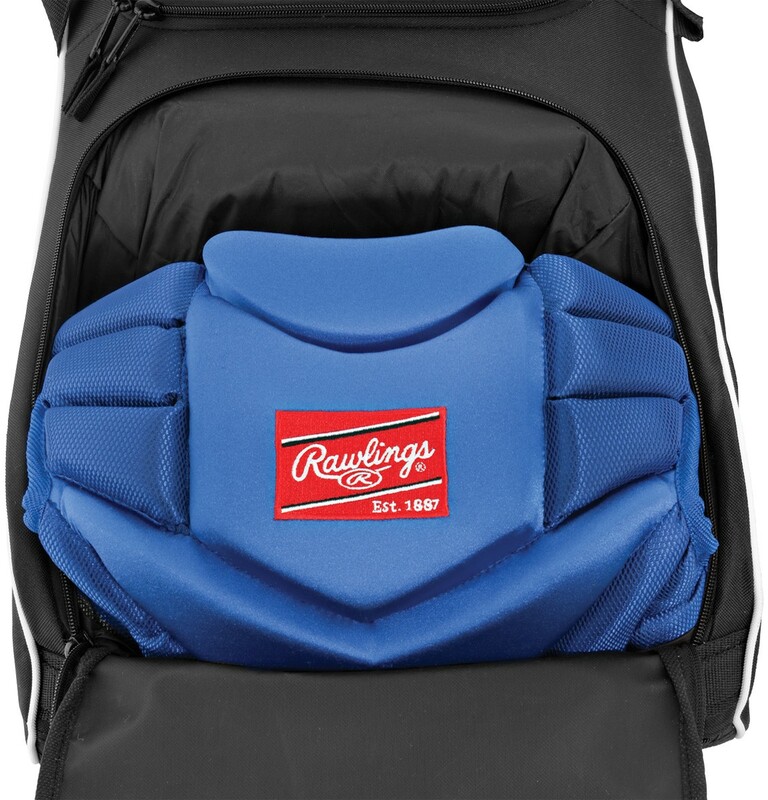 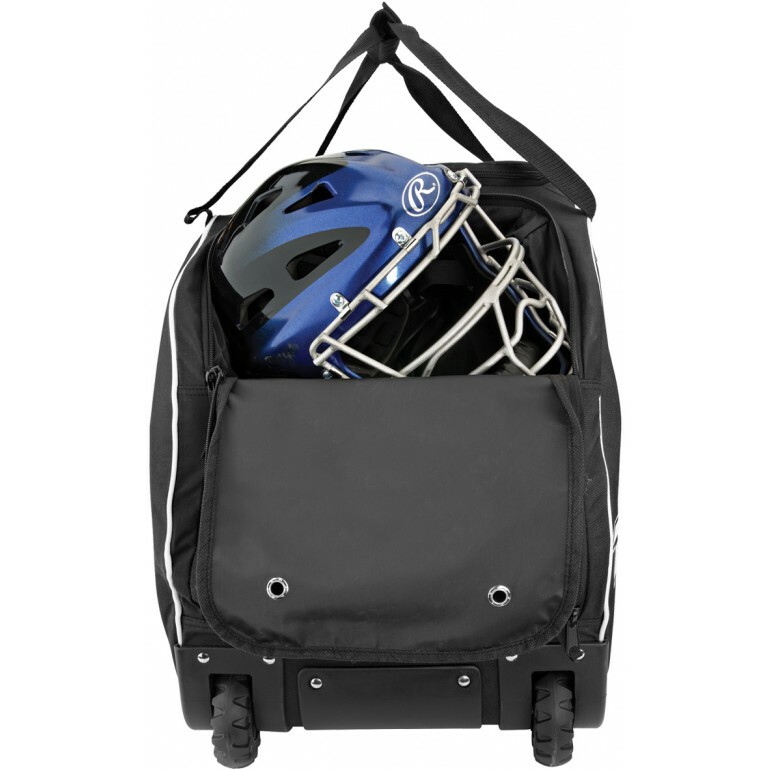 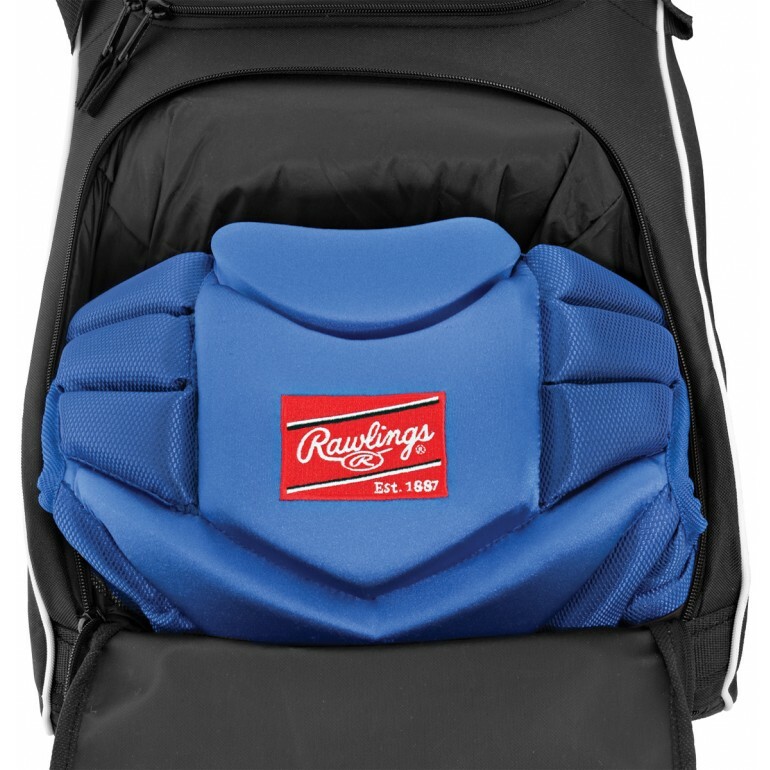 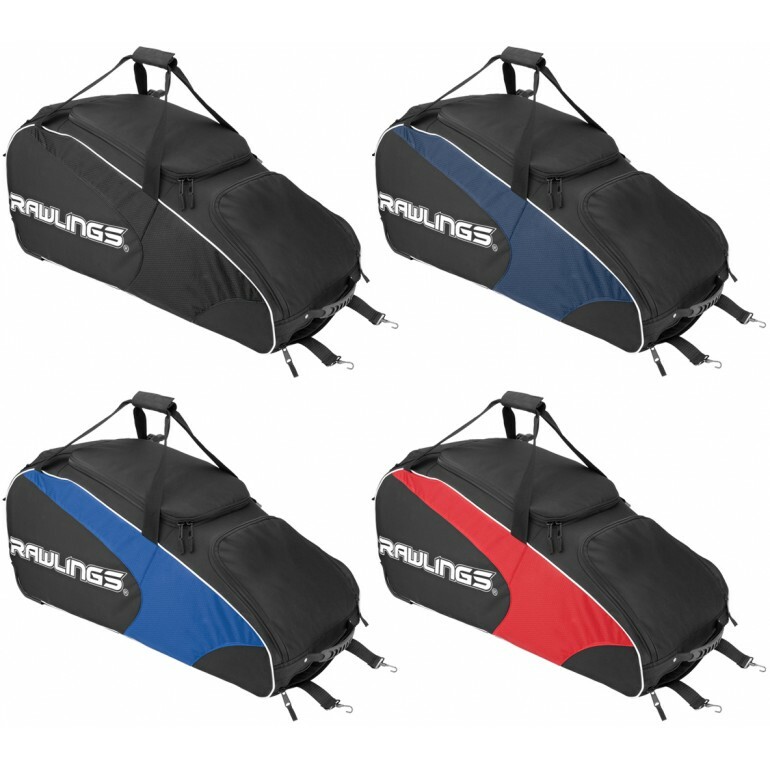 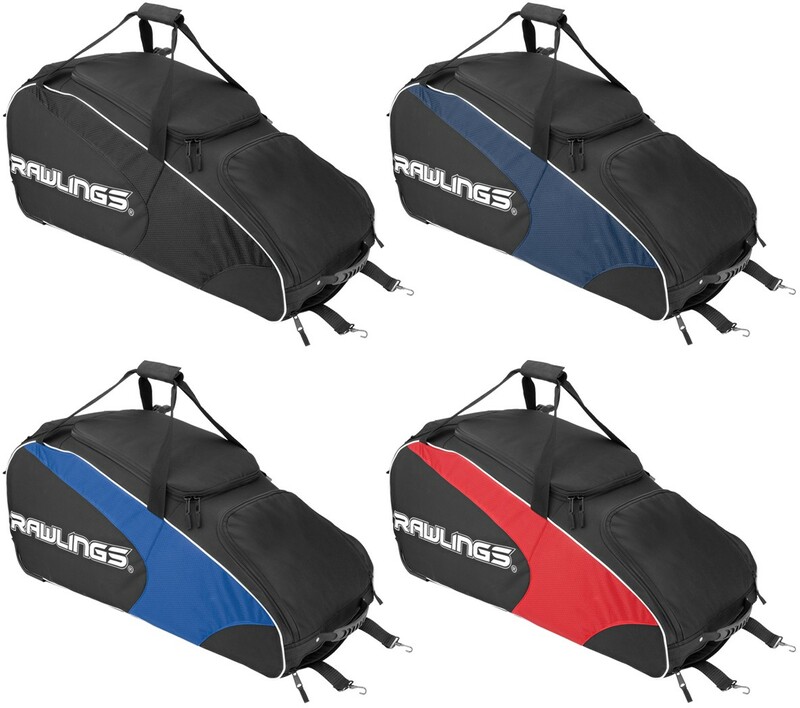 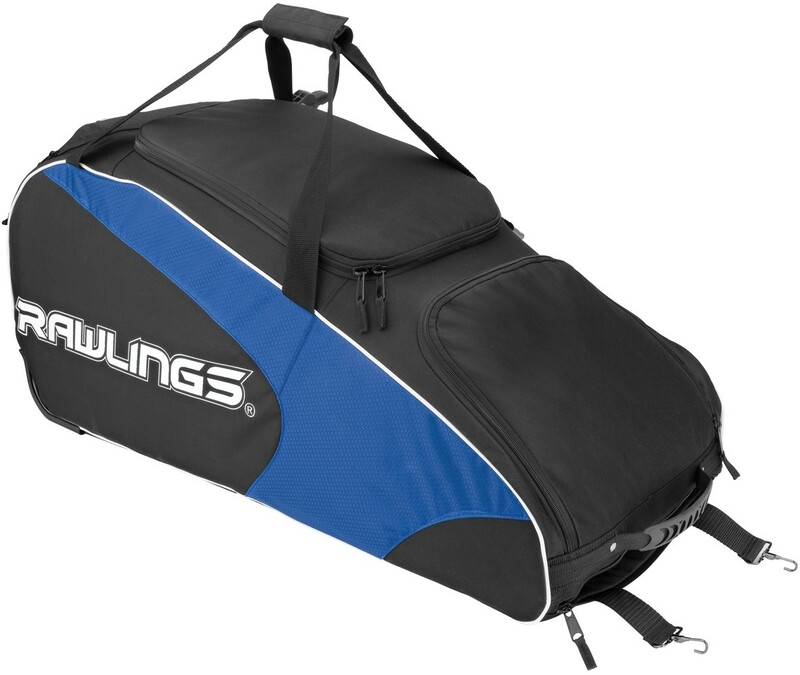 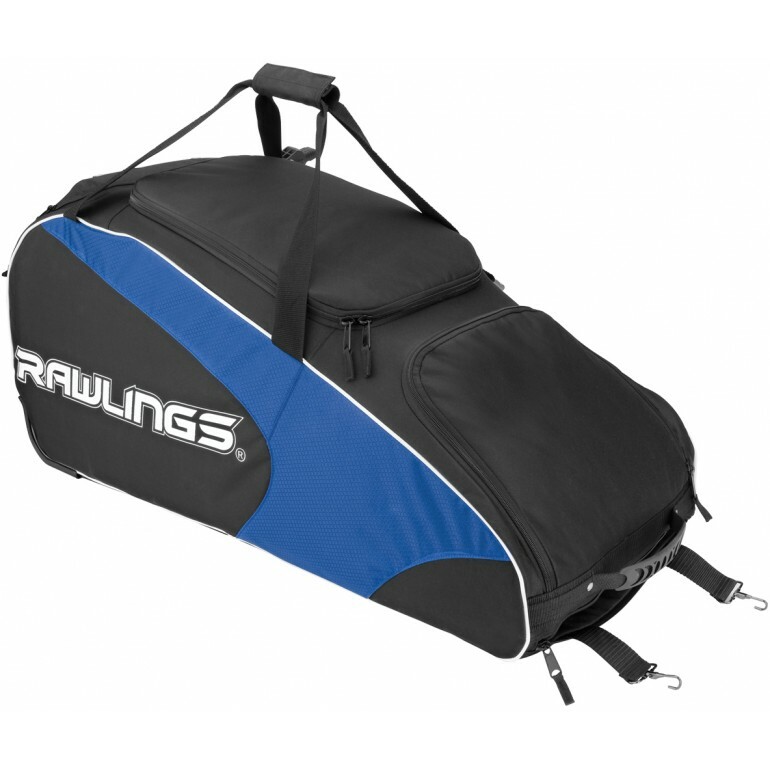 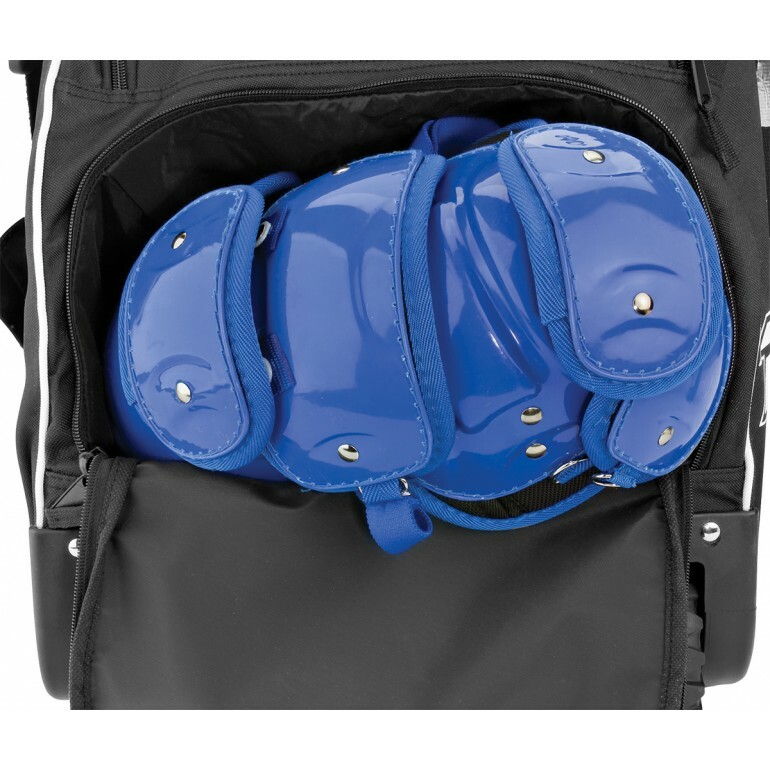 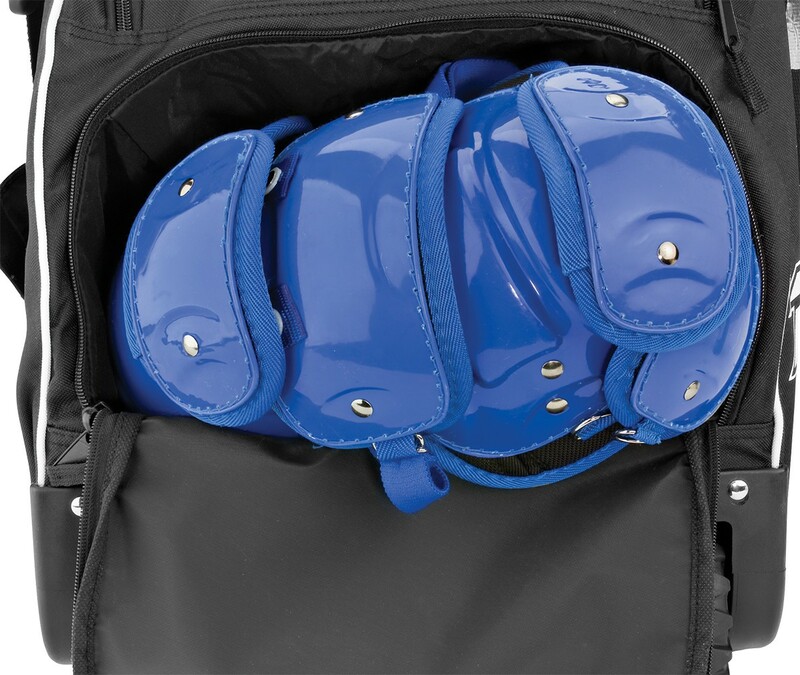 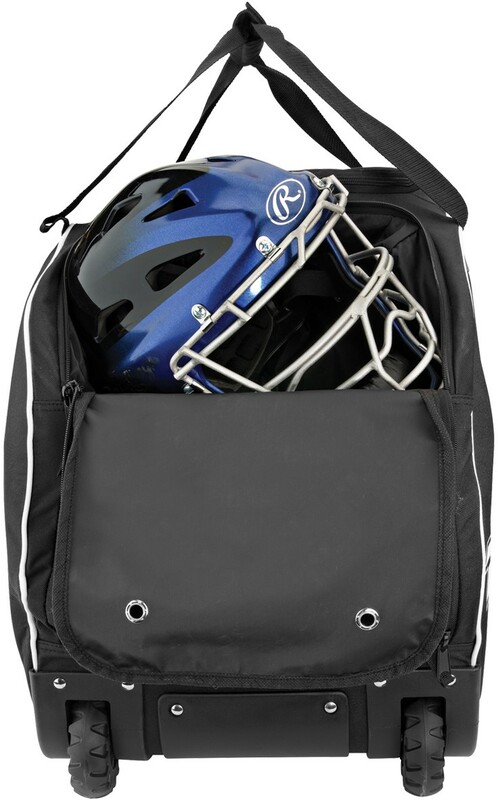 The Rawlings Workhorse Equipment Bag holds up to 6 bats and has an extra large main compartment which makes it the perfect bag for a catcher. 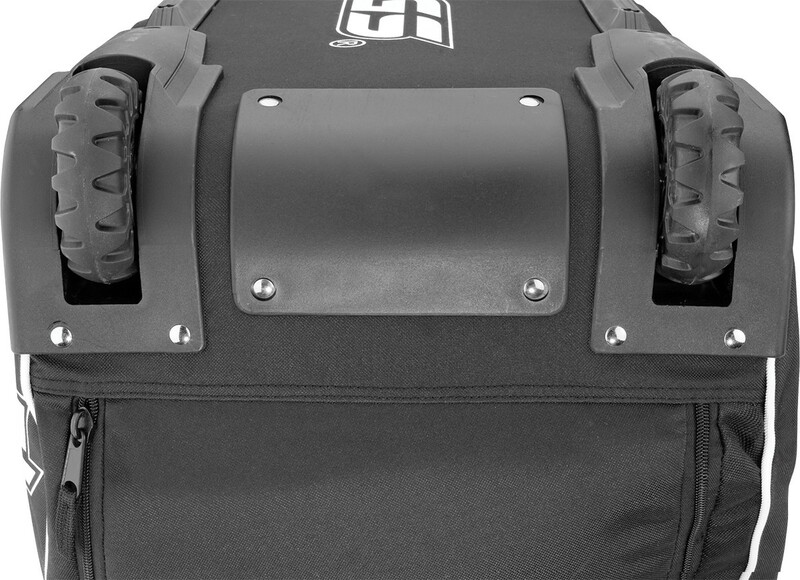 The Workhorse also features unstoppable B3 Monster Wheels to make pulling the bag easy and a Velcro closed strap for carrying. 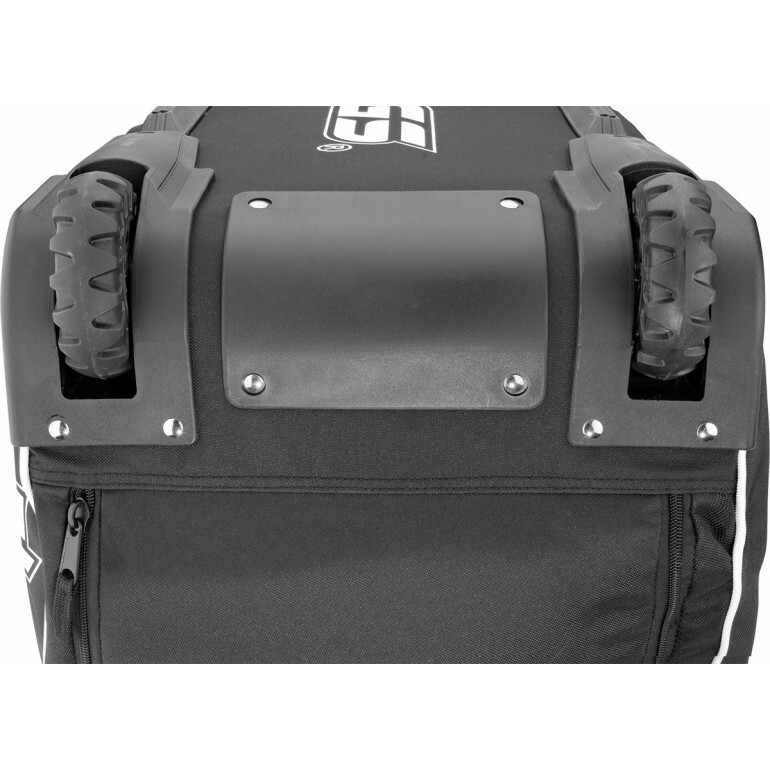 A hard shell bottom adds durability and rigidity.